The purpose of Work Based Learning, also known as “Co-op”, is to give students the opportunity to use the skills they've learned in their technical programs in a real-life employment setting, while also helping them to develop new skills working with professionals in their technical field. RTCC's new College and Career Lab was designed to bring in-school learning and out-of-school experience together. Check out our College and Career Lab offerings by clicking on the link in the documents box to the left. Co-op offers the ultimate in hands-on application of skills while giving students invaluable experience that can help them confirm that the career choices they've made are the right ones. It also gives prospective employers an opportunity to observe a student's skills and work habits. Job Shadowing - A student will spend time observing what a typical day is like for someone employed in their field of interest. It is a chance to see what it is actually like to work in a specific job as well as to have the opportunity to ask questions about the job or profession. Job shadowing is an excellent opportunity to determine if the perception which a student has about a career field is the same as the reality of that job. Unpaid Internship – An opportunity for a student to spend a period of time with an employer who is willing to give the student training in a career field. The student may assist the employer with the completion of certain tasks. This is a good opportunity for a student to learn more about a job while also giving an employer the chance to assess the student’s potential. Paid Work Experience – A student with the appropriate skills has the chance to earn money by working in an actual job. An excellent opportunity to make money, enhance skills and build a resume. 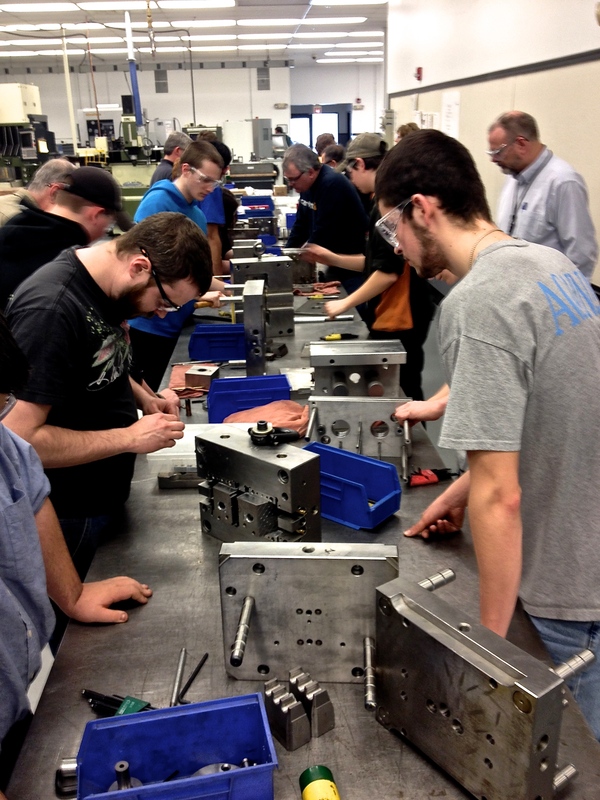 Apprenticeship – Students work directly with a master in a trade in exchange for their labor, typically being paid at a rate appropriate to their skill level. For students who choose to go directly into a career upon graduation, those who have participated in work-based learning are more likely than their peers to be working and earning, on average, higher wages than those who did not. High school graduates who participate in work-based learning are more likely to attend college the year after graduation and remain in college and earn a college degree than their peers who do not. Research has shown that college students who participated in work-based learning while in high school have greater success and higher GPAs than their collegiate peers who did not. The greater the participation in work-based learning, the greater the aspiration rates for enrollment in post-secondary education. Students who participate in work- based learning say that their experiences have helped to clarify their choice of college major.Across multiple data points, students who participate in work- based learning in high school achieve as well or better than their college peers who did not. Work-based learning students show a great change in important attitudes toward life, work, and themselves: greater acceptance of responsibility, improved attitudes toward work, parents, and adults, and more positive perceptions of post- secondary education and careers. Research shows that work-based learning improves the abilityâ€¨for students to understand and retain material longer, and that it drives an interest in academics and subject area reading. All students say that their academic achievement is enhancedâ€¨through contextual learning and the application of knowledge gained in the classroom. Students involved in work-based learning place a higher value on skills of decision making, problem solving, teamwork, and communication skills. He or she must be in good academic standing in their technical program and companion courses. The availability of a suitable work experience in the community. The recommendation of the student’s program instructor. In collaboration with the Work Based Learning coordinator, individual schedules are developed that fit the needs of both student and employer. Work hours may be during school time or on evenings/weekends. Co-op is a graded experience. The evaluations performed by work site supervisors are the basis for a grade that is factored into the overall instructional program grade. For a list of our Work Based Learning Business Partners, click on the link in the "documents" box to the left. For more information, contact Jason Finley at 728-9595 extension 444.